Not to be mistaken with the reggae band Mountain Black, Black Mountain are a psychedelic prog-rock band from Vancouver, Canada, who draw heavily on their wide range of influences, including the grittiness of 1930's bluesmen, the trippiness of The Velvet Underground and the darkness of Black Sabbath, with a lot of sonic twiddling akin to the likes of the Electric Light Orchestra and Pink Floyd along the way. The band's critical acclaim is limited, as most of their reviews tend to range somewhere between polite praise for their dedicated homages to past artists and outright criticism for imitation and re-hashing old ideas. 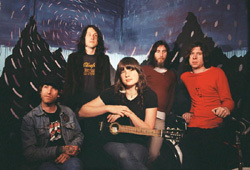 The band are led by Stephen McBean, also frontman of the similarly named, but more lo-fi and experimental Pink Mountaintops, and chairman of indie label The Mountain Music Army, for which Black Mountain are the frontline band. Interesting fact: by day, McBean works in a needle exchange centre for drug addicts, and the name 'Black Mountain' can be used as a reference to a large pile of marijuana; Coincidence? The now defunct JJ72 received both critical and commercial success with the release of their debut self-titled album in 2000, but the acclaim was to be all too short lived. The band quickly sunk back into obscurity, and critics panned their second album. They then disappeared for another two years before being dropped by their label just as they were due to start the recording process for their third record, and subsequently broke up, citing a lack of funding for recording. Luckily for the band's loyal army of fans, they did leave us with a couple of records worth of excellent indie rock anthems, and as their seven single releases show, they also left their mark on the UK charts (seven singles from only two albums - shameless commercial overexposure or a simple case of commercial supply and demand?). 'Snow' was released in February 2001 and reached number 21 in the UK charts, making it the band's biggest hit. The origin of the band's name, which the band themselves always refused to comment on, makes for a very interesting topic of discussion amongst fans, and has resulted in many absurd and highly speculative guesses, my personal favourite of which being that it is a reference to Janis Joplin's (JJ) weight in pounds (72) at the time of her death. 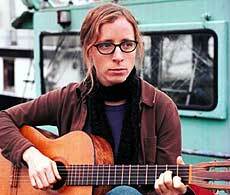 In her twenty-four-inch-plasma-screen-esque spectacles and with her sensible clipped back hairstyle, Laura Veirs looks like she'd be better suited behind the counter at your local library than on stage with a guitar at your local tiny indie club. KT Tunstall for grown-ups, perhaps then. And the comparison to a librarian is not entirely unjustified, for Laura Veirs is a great storyteller, with an impressive catalogue of infectious and often romantic, if sometimes rather personal, folk-rock songs to her name. Growing up, she gained much of her songwriting inspiration during the camping holidays she frequently took with her family, an influence that was never more self-evident than in this song. 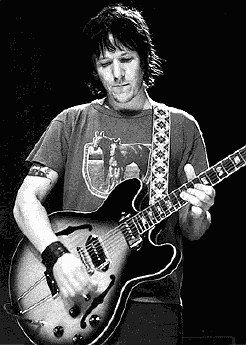 Elliott Smith's status as cult icon in the global indie music scene was cast in stone when he died of apparently self-inflicted stab wounds to the chest at his girlfriend's apartment in Los Angeles, California in October 2003, aged 34. Smith had previously risen from indie semi-obscurity to mainstream prominence on the back of the success of his Academy Award nominated song 'Miss Misery' which featured on the soundtrack to 1997 movie Good Will Hunting (the song lost out on the award to Celine Dion's 'My Heart Will Go On' from Titanic…). Smith's songs usually comprised just vocals and acoustic guitar, although he was also a proficient player on piano, harmonica, bass, clarinet and drums (he began learning to play instruments at the age of ten, and was writing and recording music by age fourteen). Smith had a distinctive vocal style, which American journalist Steve Huey famously described as "often whispery, spider-web thin delivery". Smith spent a large part of his life battling with drug and alcohol addictions and depression, and this was often reflected upon in his lyrics, alongside other personal topics such as isolation and betrayal. However, with Smith it was often hard to tell where depression ended and mental illness began. He attempted suicide by jumping off a cliff, but miraculously landed in a tree, which, although stabbing him badly, broke his fall, and saved his life. He was also clinically diagnosed with paranoia, and claimed that a white van followed him wherever he went, and that his record company was "out to get him". During live appearances, he would frequently apparently forget the words to his own songs, and audience members would have to shout out lyrics, and in some cases guitar chords, when Smith failed to remember them. Smith also went through periods where he would hardly eat or sleep, and then sleep for an entire day, and pig out on huge amounts of junk food, mainly ice cream. The Handsome Family is husband and wife duo Brett and Rennie Sparks. 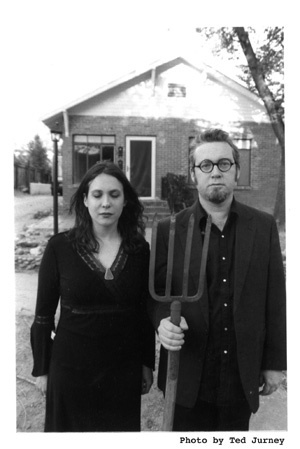 Having been labelled as both alternative country and traditionalist, their uniquely dark brand of music falls somewhere between the two, blending elements of bluegrass, folk and particularly murder ballads into one eerie modern day soundscape (all of the band's music is recorded in Brett and Rennie's living room). Brett, a guitarist and singer writes the band's music, while Rennie, also a fiction writer, comes up with the (often very peculiar) lyrics. Almost all of the band's songs centre around Gothic themes, similar to the lyrical elements found in very old traditional American folk songs and ghost stories. 'The Snow White Diner' is the opening track from the band's fifth album Twilight, and while musically rather uplifting, with throbbing keyboards reminiscent of Derek & The Dominoes' 'Lyla', is one of the band's more unnerving songs lyrically. Matt Basham is a freelance music journalist from England. He has a giant pet iguana.